The new F800GT is a bike that can do the daily commute in comfort and safety thanks to the updated fairing, screen and standard ABS, before handling a longer weekend ride with a pillion and luggage. It’s even entertaining on some twisty country roads thanks to the sweet handling, decent brakes and nicely rounded engine. Yes, this capability comes at the price of supremacy in any particular field. But for many people this complete ability is the reason to buy the bike. A great all-rounder. The GT is a surprisingly nimble performer and as it is a whopping 46kg lighter than an RT, it is far less intimidating. The ESA makes the suspension firmer and more responsive and if you are after a bike that’s smaller and lighter than a huge adventure bike or giant tourer yet can still cover off daily duties with ease, then the F800GT could be the ticket. Likewise, if you want to step up from a smaller bike with something that can combine enough performance and good comfort, then this could be you new perfect partner. Although the parallel twin engine has the reputation of being dull, this isn’t the case. It’s smooth throughout almost all of the rev range, has enough torque to be comfortable bimbling along at 30mph in fourth before pulling smoothly away. It likes to be revved, too, which took a little getting used to, and it sounds nice with an aftermarket can fitted. Riding the GT with the mindset of a tourer meant using the torque, but once we were on faster roads revving the engine was surprisingly rewarding. Fuel economy from the F800 motor has always been a strong point with a gently ridden bike capable of almost 80mpg. The GT is built to a budget, but is still very well finished. The engine is solid and the level of finish appears high. One of the few remaining middleweight sports tourers and at just over £8,000 is good value. The GT only comes with ABS as standard. Electronic suspension, traction control and panniers are extra. 2006 – BMW launch the F800ST, it is dropped from the model range in 2011. The F800R is a naked roadster, F800GS an adventure bike that comes in basic or Adventure format. The F700GS is a basic off-road styled commuter. 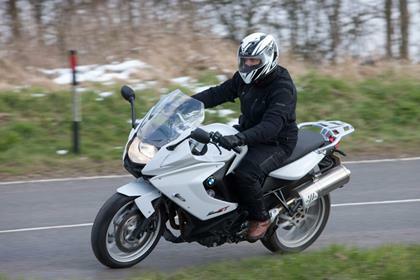 14 owners have reviewed their BMW F800GT (2013-on) and rated it in a number of areas. Read what they have to say and what they like and dislike about the bike below. I use this bike as a daily commuter with a lot of lane splitting and filtering. It is economical, comfortable, reliable, and enjoyable because it's so easy. I've also done 1-up and 2-up touring on it. It loves a run through back country touring roads or just steady straight road runs. I've got nothing to complain about at all. My wife likes riding on this bike and reckons she picked it (not true but OK if it works for her). I test rode it based on online reviews that indicated it was what I wanted and it's pretty much as advertised. This bike is great all round. With a pillion, I braked in the shortest distance against various bikes in a braking distance test. It loves cornering and gives confidence, rolling in and out easily and sitting steady mid-corner. I'd like about 20 more horsepower but wouldn't you always. I've got another bike for that (Ducati Supersport S), which my wife won't ride on. Watch out for the indicators, they can snap off quite easily. The factory luggage is expensive. There are more modern dashes now but I am happy with the computer and other functionality. I haven't really wanted to put anything else on it other than a factory toolbox (expensive). I like the EOM tyres - they last well and ride nicely in all conditions. It has ABS, traction control and ESA - I like all three (not sure if I've invoked traction control or not but ABS occasionally triggers when slowing quickly at slow speeds). I bought from a dealer and got a slight discount and a competitive finance rate. BMW F800 GT Is A Must Ride!! One of the best features is the heated grips (helps you ride a little bit ionger into the colder seasons). Also has the look of a sports bike with many touring features (6 inches more height on handlebars for more upright seating, and longer windscreen which keeps the wind off your chest and shoulders). Rides smooth and delivers power when needed in 5th and 6th gears! $250 for service maintenance every 6,000 miles (service every 6,000 miles reommended). Bought my BMW F800 GT from a BMW dealer used at $700 below asking price. I used to hate BMWs! Best: Comfort, economy, smoothness, love the belt drive. Worst: If speed is your thing, it's not a rocket. Brembo brakes and electronic adjustable suspension lifts this above the other bikes I've owned. Smooth as silk, quiet and utterly bomb-proof powertrain. Describe? I would say it's the nearest thing to a magic carpet for long distance. Lovely handling if you are carving up A roads. For touring comfort and practicality its one of the best. I managed 64 mpg on my NC 500 trip. Last service was bang on £200 (Lind Norwich). For a dealer service, test ride and wash I thought it was good value. Not a rocket but gets up to road legal maximums easily and will cruise all day at them. I did 540 miles non-stop going, and 600 miles non-stop returning from Scotland. I struggle to think of another machine i would like to do those kind of distances on. Lind, the most helpful, courteous dealer I have ever dealt with. This is coming from someone who has sued two dealers for bad service/machinery. Great bike for real world conditions - not without problems. Needs option of adjustable screen and seat hight. Very easy to ride with progressive power deliver and no sudden surges etc. It can be buzzy at higher revs but there is no need to be in the higher range anyway - I've never triggered the rev limiter warning light. I downsized from a much more powerful machine and it's a joy to be on a bike where you can open the throttle and enjoy the power without being 30mph over the speed limit in 3 seconds and constantly having to back off and bumble along frustrated by only being able to enjoy the engine very occasionally. The F800GT is much more enjoyable in every day real world conditions. Needed to have the gear selector drum changed at 2,800 miles due to a "notchy" action and the leaver not returning to it's rest position between changes. Completed without complaint by BMW under warranty but it should not have happened as I ride very gently and in 40 years riding have never experienced this before. Second year service with brake fluid etc. Equipped with both "packs" so has traction control, heated grips, on board computer, tyre pressure monitor, electronic suspension, centre stand etc. Very good. Very straight forward - BMW dealers do it well. I actually looked into buying a Yamaha Tracer but the dealer was simply disinterested so I walked away. Irritating vibration and woefully underpowered. My VFR eats it for breakfast. A bike for all seasons and reasons. An excellent, easy-to-ride and versatile bike equally at home on long tours or knock-about riding. Ridden sensibly the economy is - for a motorcycle - outstanding with 60 to 65 m.p.g. easily attainable in everyday use. Ridden for economy over 75 mp.g. had been attained, the torquey engine allowing top to be held down to low speeds. The brakes are outstanding, the ride quality plush and handling secure. I've ridden continuous journeys across Europe of just under 1000 mile - in decent comfort on the maker's optional "comfort" seat. The fuel tank is, however, at 15 litres, too small and the range a paltry 225 miles - though it's easy, with the tank beneath the seat, to plumb in an extra supply fed through the tank's breather tube. I like the torquey engine - that will also rev. However, the "third-con-rod" balance system is nowhere near as effective as a proper Lanchester rotating shaft and some vibration - similar to that of a BMW flat twin - is evident, though not intrusive. ..but if you need to change the belt it's £450+ - though the maker's recommended 24,000-mile limit is very conservative and many owners report double that mileage. Having a belt and not a chain is wonderful - no more messing with foul and disgusting lubrication rituals - perhaps the £450 is worth it after all. The latest version of the maker's panniers are, to my mind, far too wide; a better option is the original "egg-like" expanding type that, providing they are not filled to capacity, allow filtering to the width of the mirrors. The screen is inadequate and, if you are old, like me, you'll probably want bar risers and footrest lowering kit. The headlight is hopeless - I've had to fit a xenon on dipped beam - which is what BMW should have done. As mentioned, the fuel tank is too small, the 24-litre unit from the F800 Adventure would be a great improvement. Bought from a BMW dealer with a little (4%) discount.  However, the bike in the colour and specification I required was in stock so that was that. Allrounder. City, higway and roads with a lot of corners. Too early to say on the servicing costs but a twin should be reasonable even accounting for BMW rates. MPG is impressive. Currently getting high 50's on my commute, hopefully his will rise further. Eager and willing engine but comes with the annoying 'rattle' built in. Apparently this is normal by I find it a little disappointing given the premium brand. First service was very reasonable. Dealer was very good. The BMW buying experience is reassuringly comprehensive and high quality. This is a do-it-all bike. Commute Monday-Friday, then take off on an extended trip. It's comfortable enough for an all day ...like 11 hour ride. Stop for the night, and then repeat. In the twisties, it's a delight. And when you have to use the motorway, it eats up the miles without straining at all. It combines sport bike handling with wonderful stability in the straights. Put a good set of panniers on it, and take off. It's comfortable on the freeway and the Madstad windscreen does an excellent job of letting good clean air flow over the rider. No turbulence. It's quiet and relaxed for all day riding. Riding on a twisty road is effortless. The amount of energy to flick from one corner to the other, takes no effort at all...and leaves you rested for more later. It's a bit noisy...but aren't they all? Earplugs help a lot. The performance is superb. It has more than enough power to exceed my skill level. No issues yet in 4000 miles. It seems well thought out. The panels, which can be an issue to remove on some bikes, are a breeze to remove. Perhaps more importantly, you don't need to remove anything to do simple things like an oil change. It makes the bike very feasible to maintain yourself. Running costs are low. Gas mileage is great for an 800cc bike. Premium fuel is more expensive than regular, but isn't that much more expensive. Being a belt drive instead of chain drive, it is a ride and park it bike. At some point in the future, I'll have to replace the belt, but that's not an everyday experience. If you're thinking of replacing the OEM windscreen, I highly recommend the Madstad windscreen. It is easily the best accessory I have to take the bike from being just suitable for short commutes, to taking it cross-country. No problems belt driven do it all middleweight. Version : F800GT just heated grips, centre stand & OEM computer. Forgiving and easy to ride middleweight. Easy to handle due to relatively light weight. Good gearbox, relatively high-geared. Fantastic brakes, comfortable for long rides, good handling. Built to a budget, no problems for me, easy to maintain and keep clean. Belt drive is excellent. Bought bike from dealer, no issues. Brakes are strong with good progressive feel, the ABS is amazing, I've had a SMIDYS and the bike stops much faster in an emergency than you'd ever be able to without ABS. Probably would have been a collision without it. I've done 2 touring with top box and panniers. Plenty of room for rider and pillion. The bike is relaxed cruising on the motorway with all the weight, but 800cc isn't quite enough to pull fast. It's a very comfortable bike for the most part, but while touring your bum might hurt a bit after a couple hours (at least mine does and so did my pillion's). A little 'dull' and sounds a bit rubbish with the standard exhaust. However, the power delivery is perfectly tuned for the bike. Plenty of low down torque with an almost flast torque curve, with 90bhp at the top end. Surprisingly when riding fast it actually likes to rev and becomes a bit more lively in the top end than the bottom end. Has low vibes below 5K rpm but above that the bike becomes a bit vibey, however in 6th gear you'd be going over 90 at that, so unless you're looking for a 90+mph comfortable cruise this isn't an issue. Anywhere upwads of 85ish the bike is relaxed and always very stable thanks to the long wheelbase. Very well built with a high quality finish, belt drive is amazing and makes me never want a chain driven bike again (I commute all year long). Dash looks nice, all the levers and pedals are well set up and nice to use. 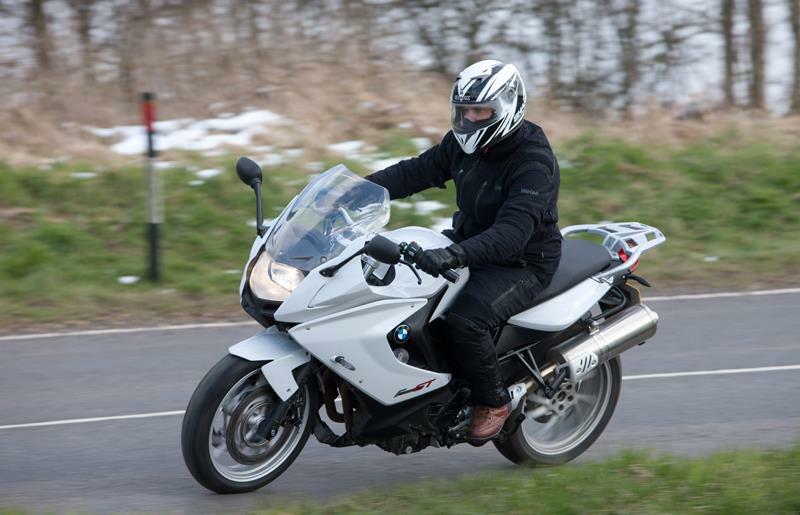 The bike itself is not bad value for an 800cc sports tourer, especially for a BMW. However, BMW servicing is quite expensive, so be prepared for that, and those are every 6k miles and anually. Must have: Comfort Package: (Heated Grips, On-board Computer, Main Centre Stand, Pannier Fastenings) - especially if commuting throughout the year. Nice to have but definitely not essential: Dynamic Package (ESA,ASC & Tyre Pressure Control) - the ESA is great for adjusting rebound on the fly if you ride often two up, or when doing a mixture of slow bumpy city roads and motorway on your commute (I use Comfort and Normal every day). ASC I don't even think I've activated and you'd have to be doing something very stupid to do so like giving it a fistfull in the rain. The TPMS is actually pretty useful, I've had a flat on the bike, and saw it coming as it was a slow leak got it repaired when I got home. Got mine from Park Lane. Couldn't recommend them enough, they are polite, helpful and very much there to aid you in your purchase, didn't feel they were 'pushy' at all. Downsized after 12 yrs of Honda Pans truly fabulous bikes that took us all over Europe without ever breaking down,just got to heavy for me ,Chose the GT because it was the only bike I could find that ticked my requirements i.e.light,economical,powerful enough,comfortable and in the spec I bought it well equipped .This was the best thing I've done in a long time,the GT is fabulous, it's really brought back the things I love about biking,being able to just jump on it for any type of riding,shopping,twisties,long rides,no more worrying about tight situations.The riding position and comfort is amazing,I can get a genuine 65/70 mpg without trying and for me it's got more than enough power.I've put a touring screen on mine as I found the wind to be noisy with the std screen but that is my only criticism of this bike,people say it's plain and boring but ride one of these for more than just a road test and you will want one,it just does everything,IMO a great bike.